A banned driver who had false plates on his car could be facing a jail term. Burnley magistrates heard how David Gregson was caught behind the wheel in Clifton Street, in the town. The 28-year-old admitted driving whilst disqualified, using a vehicle without insurance and fraudulent use of a registration mark, on March 3rd. 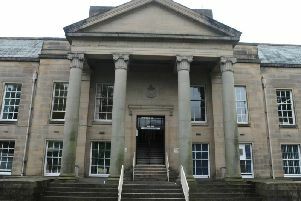 The defendant, of Lyndhurst Road, Burnley, was committed to the crown court to be sentenced on May 13th.